Fresh Corn Recipes - Just in time for Summer! Fresh sweet corn is a southern classic and the perfect veggie to serve in your summer dishes from kid-friendly lunches to grilling cookouts. 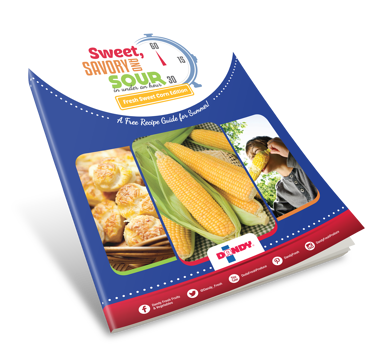 Enjoy our chef developed recipes featuring our sweet, savory and sour summer fresh sweet corn recipes …Ready in under an hour!